There are plenty of scheduled safaris available in Botswana along with numerous trips that are "tweaked" to accommodate the tailor made traveller or those whose dates do not match those of scheduled safari trips. Perhaps the most cost effective way of travel through Botswana is joining a scheduled safari - choose between a camping safari, luxury accommodation, or even a fly in. Many of the trips in Botswana form part of longer trips incorporating neighbouring countries particularly those that "overland" and give you, the client, a chance to see more than one country during your stay. 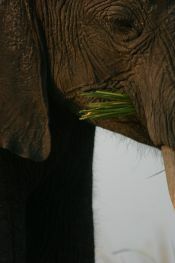 View the itineraries listed and see what"s available to visit the highlights that Botswana has to offer. Please also visit the package page to see other options available.